Good afternoon everyone! I hope you are all having a fantastic day! 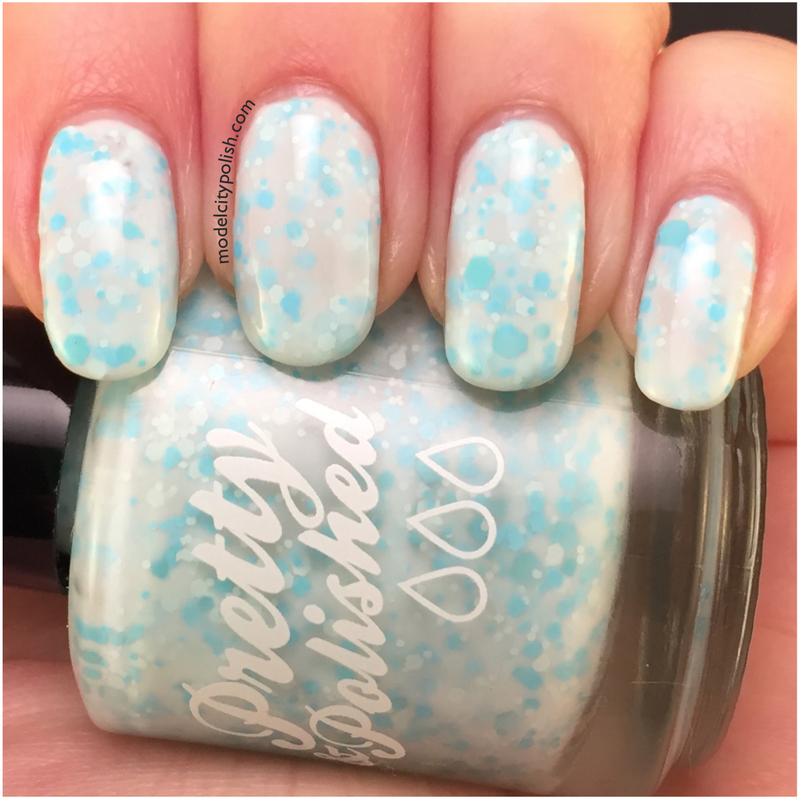 Today I will be sharing part of the new Winter Collection from Pretty & Polished. 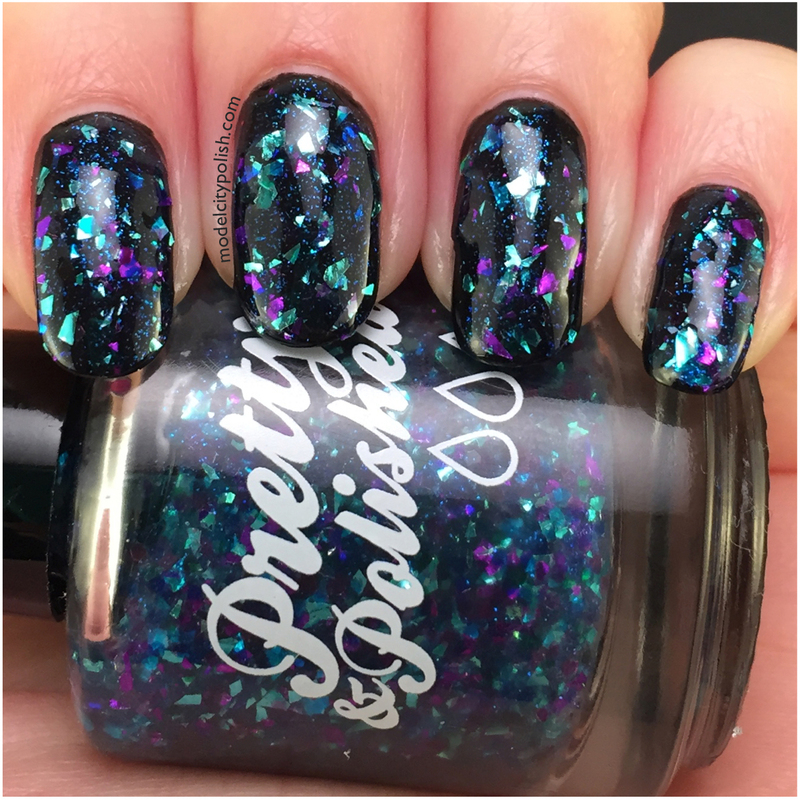 The Winter Collection consists of 8 lacquers that are all perfect for the upcoming season. As an added bonus for those who buy the entire collection you will also get a bonus Limited Edition blend that will not be available to the public. Let’s take a look at three of these new beauties. First up we have one of my many favorites, Snowbound and Down. 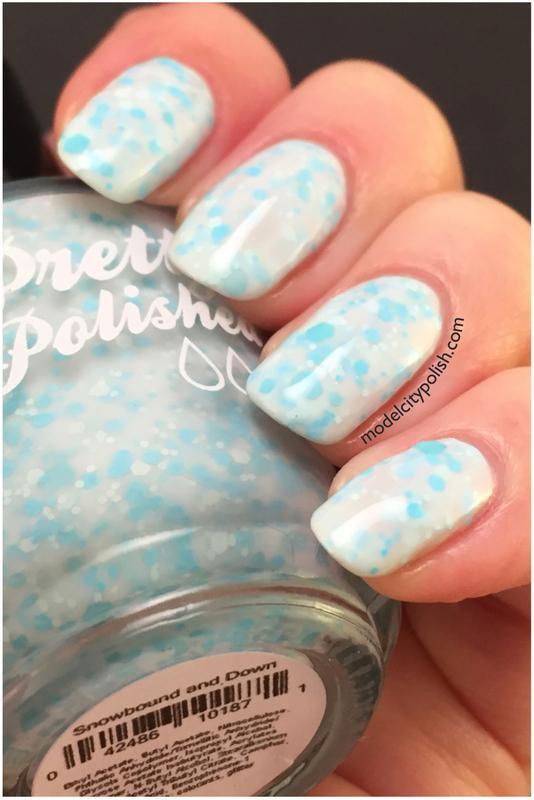 This is a lovely white crelly mixed with two shades of light blue mattes in various sizes. 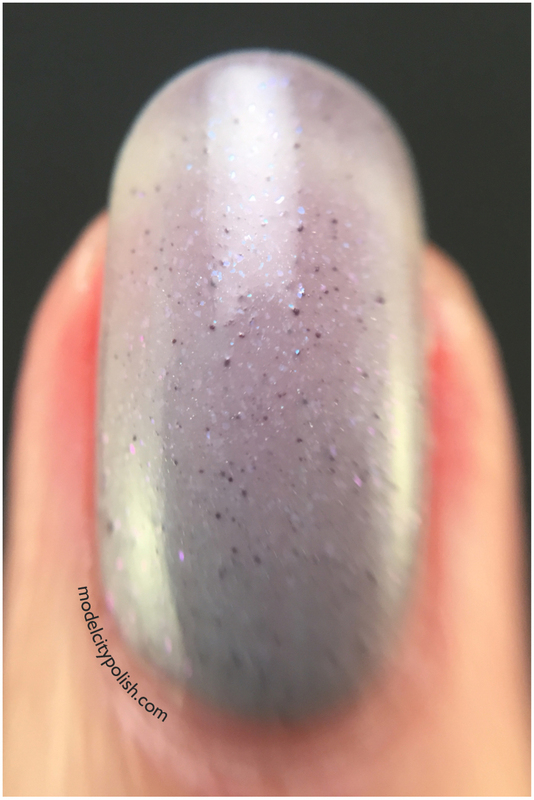 Application and formula were both perfect and I had no issues with glitter distribution. 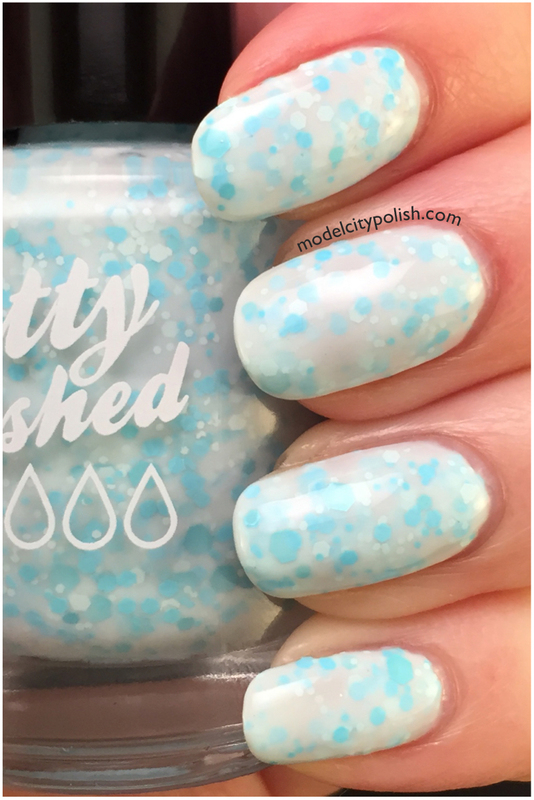 In my photos I am wearing three coats of Snowbound and Down and one coat of Gelous. Next up we have the stunning A Stain in My Glass, once again more love here. 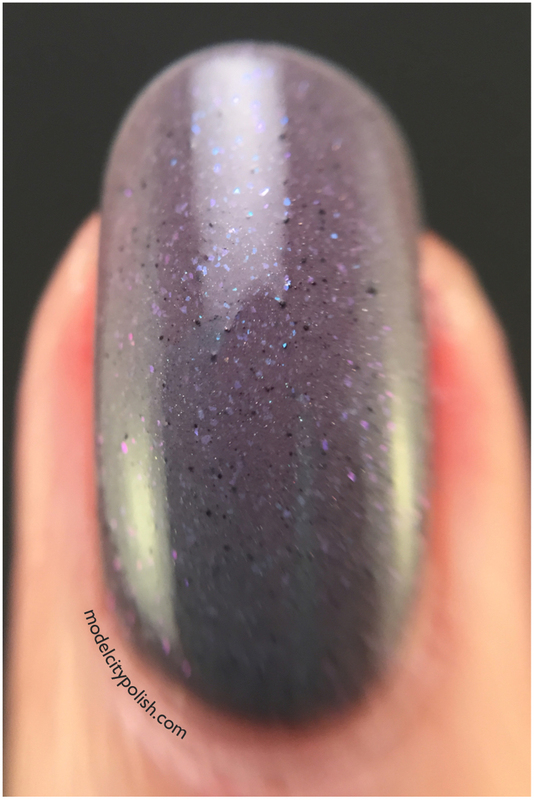 This is a clear base blend with various colors of crystal and metallic shards. 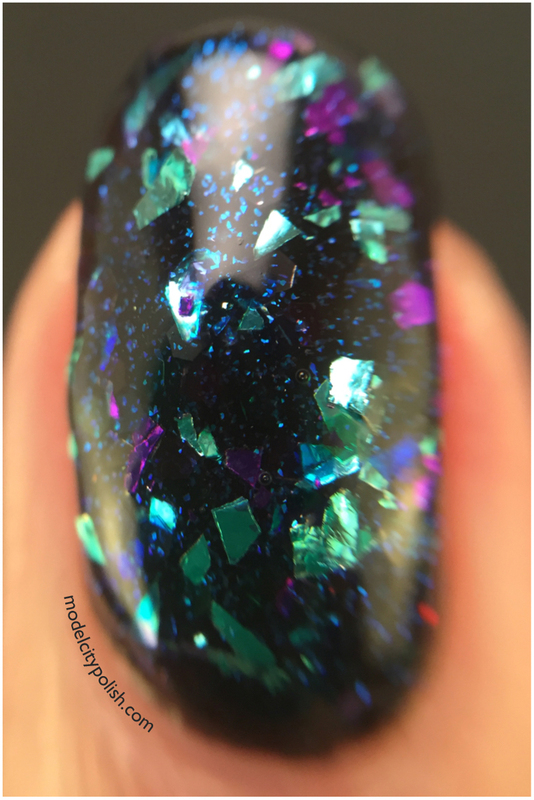 The end results looks exactly like stained glass. 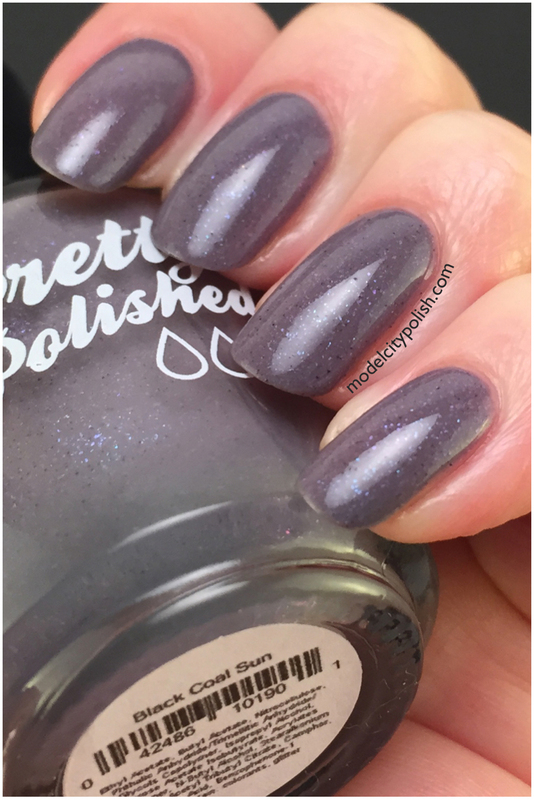 Now the finish will be a little rough so I recommend a good top coat… a few times. Trust me the extra coats of clear will be well worth it. 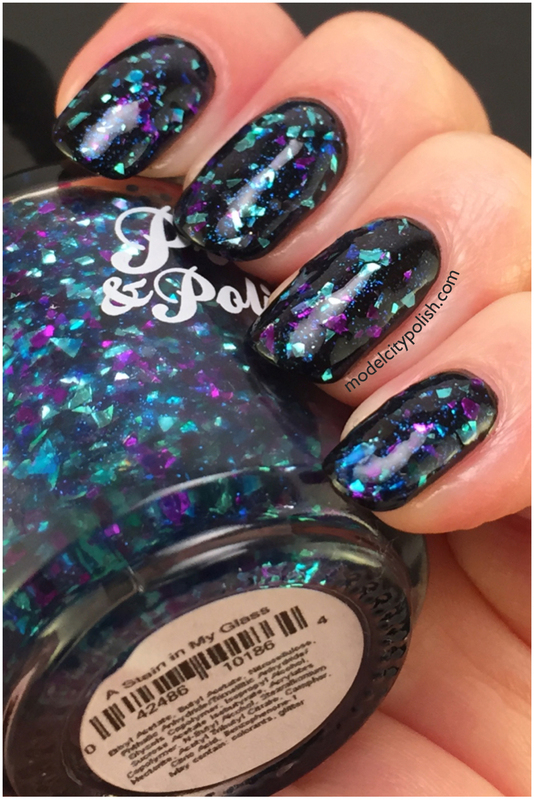 In my photos I am wearing one coat of A Stain in My Glass (using dabbing method) over Sinful Colors Black on Black and sealed it all with two coats of Gelous. Lastly we have Black Coal Sun. 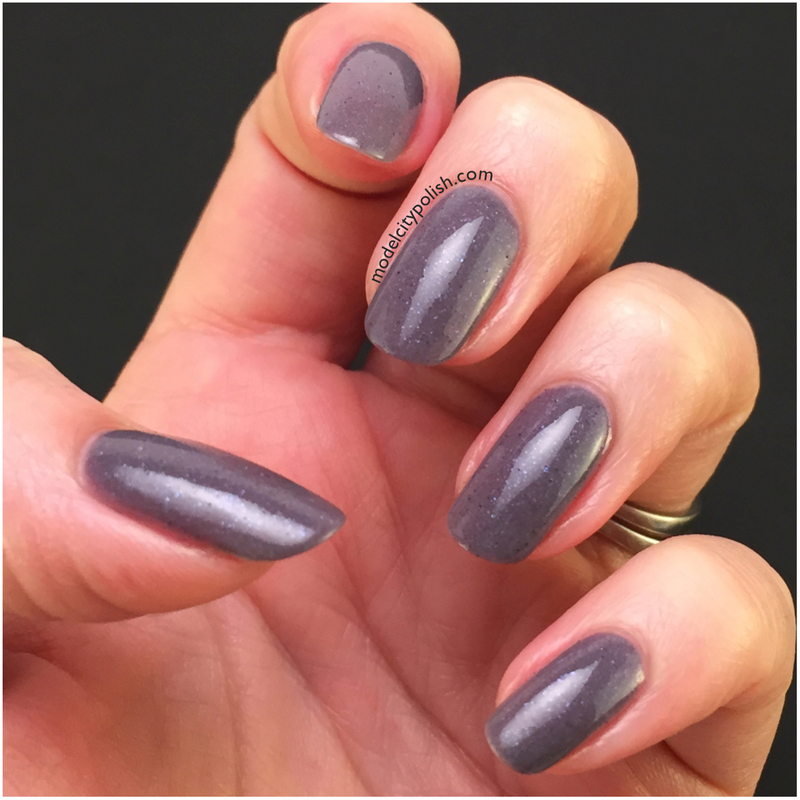 This is a thermal color changing polish that shift from a medium gray to a light gray/white in heat. 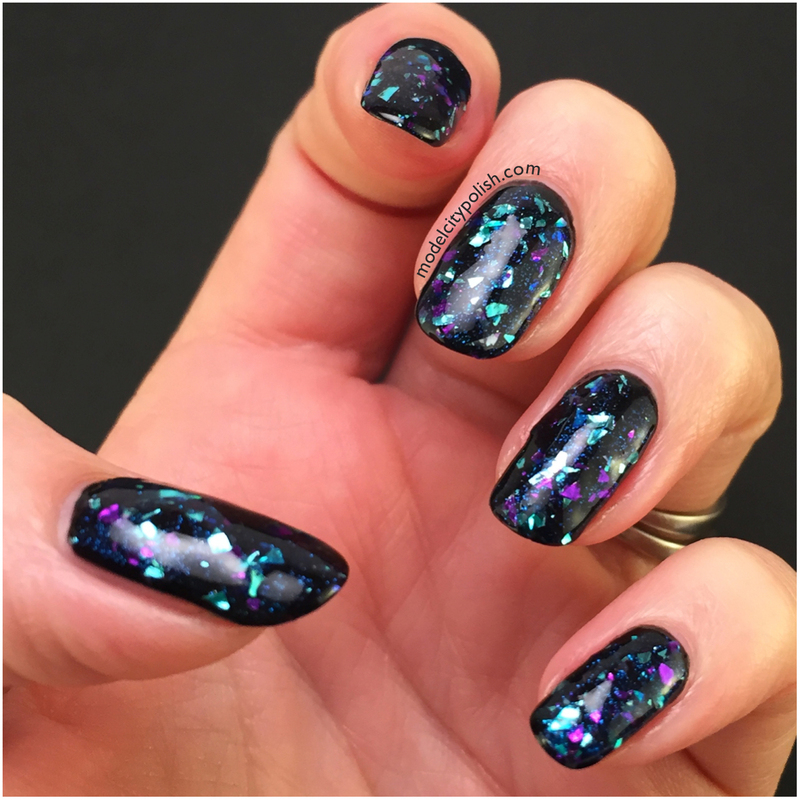 There is also a lovely blue to purple shimmer. 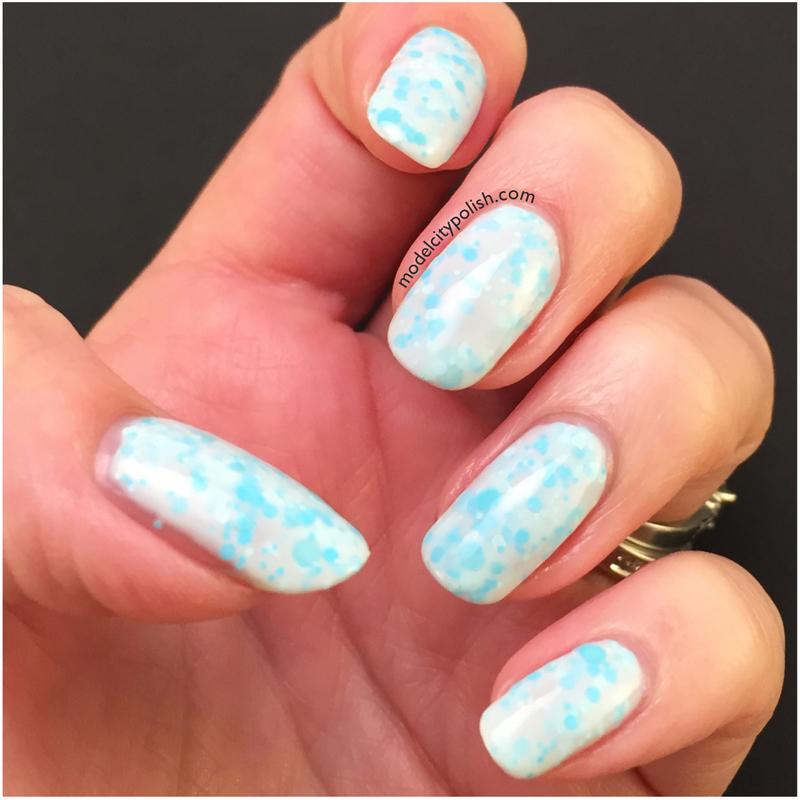 Application was fantastic and there is a slight texture feel when left without a top coat. In my photos I am wearing three coats of Black Coal Sun. So what do you guys think of the new Winter Collection so far? I am loving these beauties and can’t wait to share more tomorrow. The new Winter Collection and the new Opal Collection will both be available on November 14th so mark your calendars. 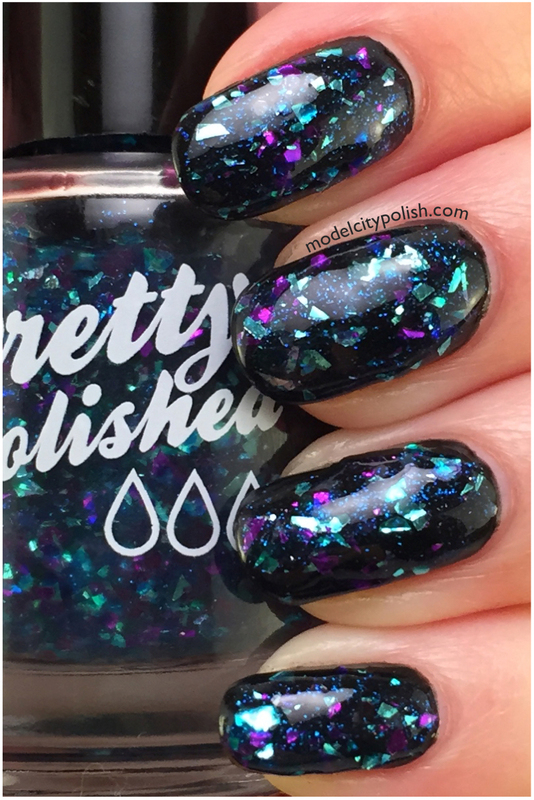 Until then you can check out all of the lacquers and beauty products that Pretty & Polished has to offer. Be sure to give them a follow on Facebook for full up to date into. Thank you so much for stopping by today and I look forward to seeing you all again tomorrow. These products were sent to me for review but that does not influence my final opinion.